Hatteras Village, NC- In the early 1980s, commercial fisherman Steve Bailey said he saw the writing on the wall. So in 1984 he went into a risky business – literally. Dressed in rubber fishing overalls, boots and a wet cigar hanging out of his mouth, Bailey pointed to a pile of flounder he caught that morning. “Fish. Selling fish. It’s a risky business,” Bailey said of his retail fish market, which set up on Oden’s Dock in the heart of Hatteras Village and named Risky Business. Unless you vacuum pack and freeze your fish – which Bailey will do for the charter fishing boat customers when they come in from their day trips – you have to sell fish within 24 hours. In reality, Bailey’s Risky Business has been what helped him survive. He still gets to work the water, which he still enjoys, and is able to diversify his business model. On average, Bailey sells between 500 and 700 pounds of fresh seafood per week. While most of Bailey’s customers are summer visitors, a few are local, year-round customers. Bailey’s seafood offerings range from tuna and mahi caught off of the North Carolina coast in the Gulf Stream, to North Carolina shrimp and crabs, to the flounder he and Barnett catch in their small Carolina Skiffs and scale, brine, fillet and sell. Posted in Commercial and tagged with North Carolina. Ocean City, Maryland- Ginger Nappi may have tried her hand at careers away from the water, but something always drew her back home. Now she is. 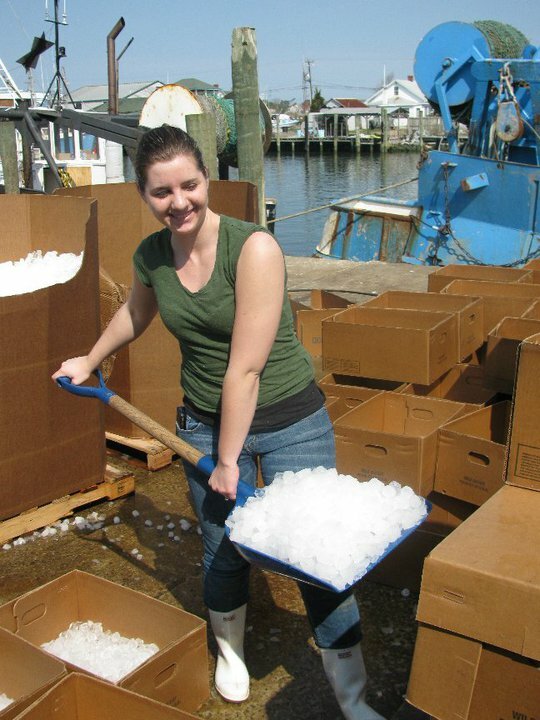 Nappi helps run her family’s Martin Fish Company in Ocean City, Maryland. Martin Fish Company was founded by Nappi’s grandfather, then worked by Nappi’s father, and now by Nappi and other family members. Nappi’s father is Sam Martin, who now serves as the Vice President of Operations for Atlantic Capes in New Jersey. Once Nappi turned 18, she started helping out with the operations back at the harbor. And, of course, there’s the secret family recipes. The selling feature for Martin Fish Company? Will Nappi’s son head into the family business? Posted in Commercial and tagged with Maryland. Sam Martin isn’t just a fourth generation fisherman. He’s a fourth generation fisherman who’s been involved in every aspect of the fishing industry, from watching his father work boats to becoming an executive with one of North America’s largest fleet operators. 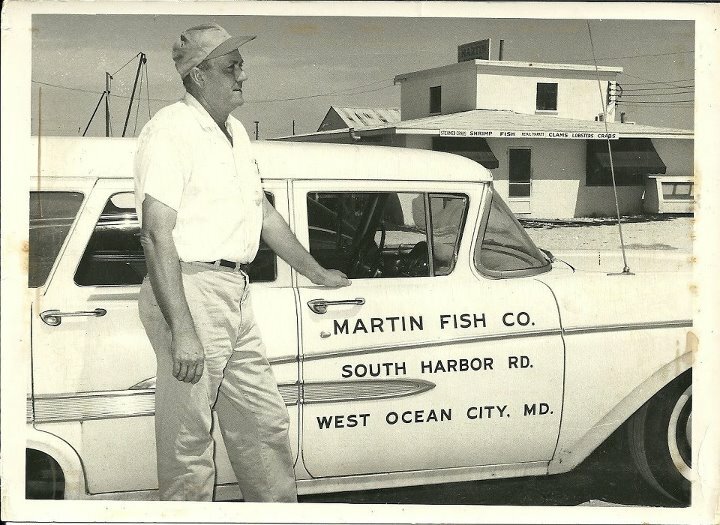 Martin, now the Vice President of Operations of the Cape May, New Jersey-based Atlantic Capes Fisheries, Inc., is from Ocean City, Maryland where his family started Martin Fish Company. Leading the operations for Atlantic Capes means managing the 20 boats in the fleet. Atlantic Capes is largely known as a leading harvester and marketer of scallops – they are responsible for about 25 percent of the East Coast scallops – but also sells flounder, scup, clams and squid. With all of Atlantic Capes’ divisions – including operations like clam processing and aquaculture farms – they employ more than 200 people. Last year alone, Atlantic Capes sold more than 14 million pounds of scallops, and that’s a combined figure from those harvested by Atlantic Capes-owned boats and boats they’ve created those partnerships with. Its success is largely based on its vertically integrated system. Martin proudly states that his family now has fifth generation fishermen working the fish from Mid-Atlantic Fishery Management Council’s regulated waters. His daughter, Ginger Nappi, helps run the still vibrant Martin Fish Company in Ocean City, Maryland. Posted in Commercial and tagged with New Jersey. March 11, 2013 by Mary Sabo. There are plenty of challenges out there for commercial fishermen today, said Robbie Scarborough, who’s spent his career on the waters off the coast of Hatteras Village, North Carolina. There’s changing regulations, dangerous weather, keeping up on updated technology, and following schools of fish as they move along the Mid-Atlantic Fishery Management Council’s coast. But at the end of the day, commercial fishermen are businessmen, Scarborough explained, as he packed out a “fair day’s catch,” or about 500 pounds, of bluefish and butterfish at Avon Seafood Company in Hatteras Village. “Our biggest challenge is trying not to flood the market,” Scarborough said. After more than 30 years of fishing, though, you learn how to balance it. Scarborough is a blue blood, born and raised, Hatteras Village fisherman. Twenty years ago, he bought his first commercial fishing vessel and named her Shear Water. Fishing isn’t a job, Scarborough points out. Scarborough will hook and line fish for some species, but largely, Shear Water is outfitted with gill nets. Ask Scarborough if he fishes for fun, and you get a huge smile and hearty laugh. Fishermen are today’s undervalued heroes. Paul Farnham passionately believes that. And that’s why Farnham spends day in and day out welcoming commercial fishing boats back to the Town Dock in Montauk, New York, practically the northernmost port in the Mid-Atlantic Fishery Management Council’s region. Farnham doesn’t own the dock. He’s not even a wholesale fish dealer. What Farnham offers fishermen in Montauk, through his company the Montauk Fish Dock, is unique, he said. Commercial fishing boats pull up to Farnham, whose team helps unload the boat (called packing out), weigh, ice down and package. Then he ships it. Most docks have wholesale operations right there, he said. Fishermen unload and sell their catch in one place. “Our service provides the opportunity for fishermen to unload and sell and market themselves to whoever they want,” Farnham said. Most of the fish are sold on consignment to Fulton Fish Market in nearby New York City, but some of Farnham’s clients ship their fish overseas, as far away as the West Coast and to various wholesalers outside of the area. Farnham, originally from Canada, worked in and around commercial fishing all of his life. He bought his unpacking and freight forwarding business in Montauk in 1988 and has been a staple on the docks ever since. So much so that in 2006, while battling cancer, Farnham never missed a day of work. He would get his chemotherapy treatments and return to the dock. Many fishermen, when asked about the challenges to their community today, talk up regulations. Farnham leases his unloading property at the dock. Within throwing distance is a piece of property, he said, sold eight or nine years ago for just more than $1 million. Today it’s valued at more than $4 million. Then there’s the constant work to ensure the market isn’t oversaturated with fish, yet properly priced for the consumers to eat and fishermen to still make money. From the fisherman to Farnham, Farnham to the delivery driver, from the wholesaler to the restaurant, and finally to a kitchen and a plate. Each time, a few more cents of operating and handling fees add on. On average, for example, Farnham charges 18 cents per pound of fish unloaded, iced and shipped. Looking toward the future, Farnham plans to get involved in reducing “the number of hands each fish goes through” and open something of an online fish market. “I’d like to be able to unload the fish from here and ship it directly to the consumer. This way, the consumer saves money and gets real deal, same day, fresh fish” from his fishermen heroes.